As a guy who owns more footwear than he probably should, I’ve found that my best looking shoes aren’t the ones that were most expensive. They’re simply the ones I’ve owned the longest, and thus, have been worn the most. 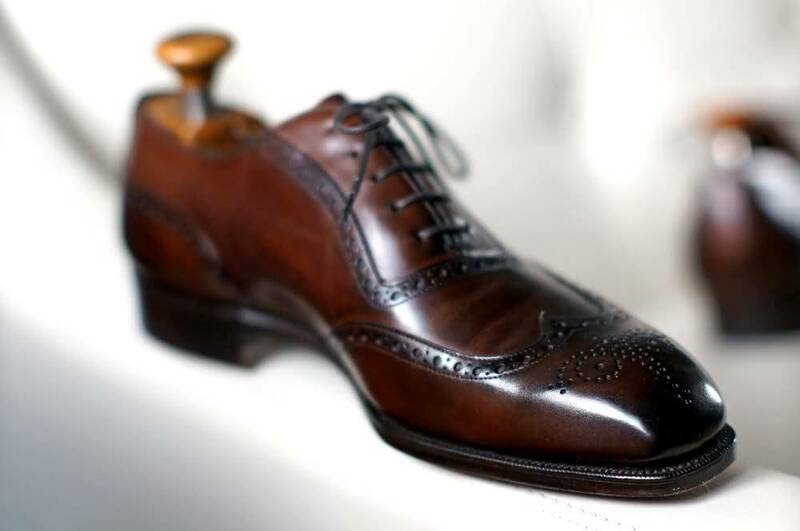 The nice thing about quality shoes is that they’re made from high-end, full-grain leathers, which not only last a long time, but also develop a beautiful patina. 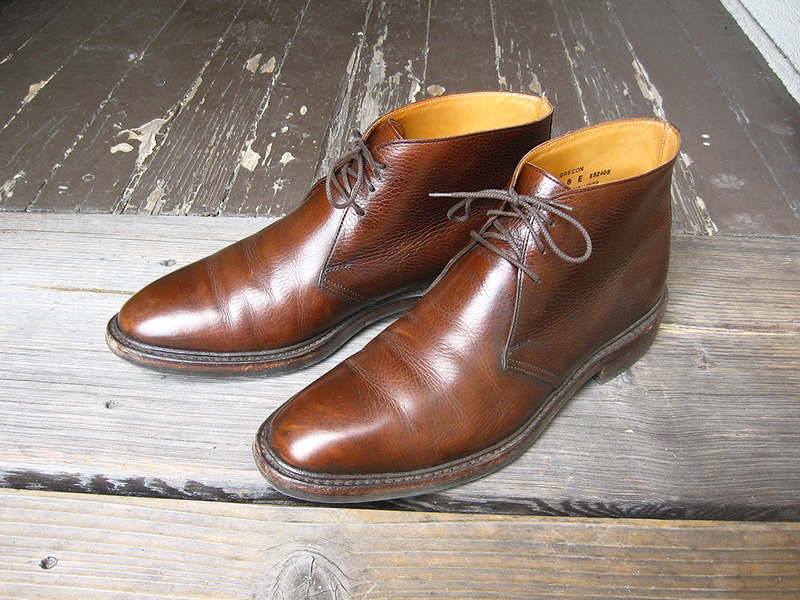 To be sure, shoes can develop a “patina” in any number of ways. 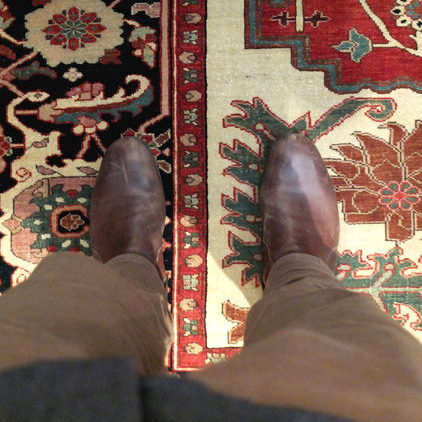 Michael Alden from Dress With Style once did a video on how to antique shoes with Pierre-Paul Hofflin of Talon Rouge. 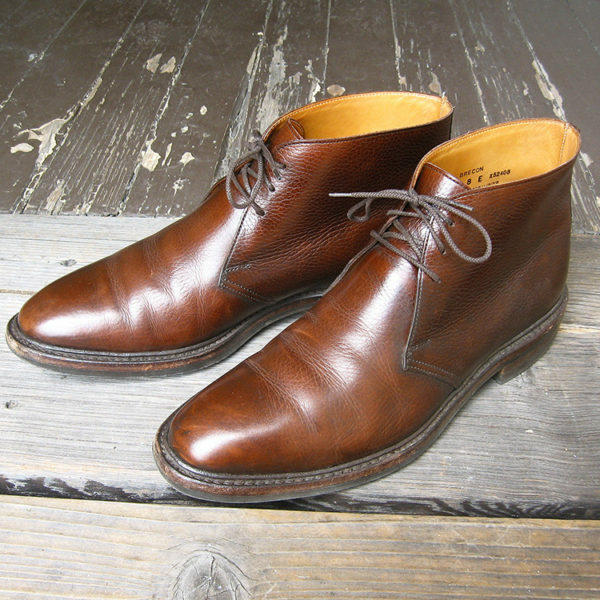 The process is quite involved, and probably best left to experts, but you can see some examples of antiqued shoes at Talon Rouge and Dandy Shoe Care. 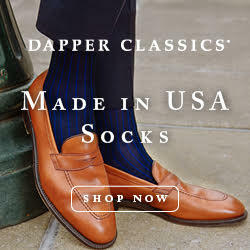 Brave souls who want to try such methods can refer to that video, as well as this post at The Shoe Snob. For workboots, do nothing at all. 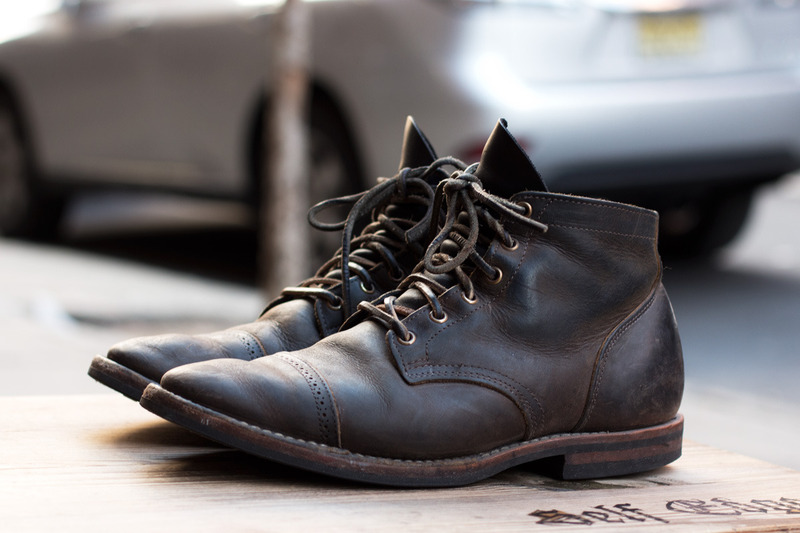 You might have to treat them to leather conditioner once a year, so the uppers don’t dry out, but rugged boots look best when they’re a bit dirty and dull. 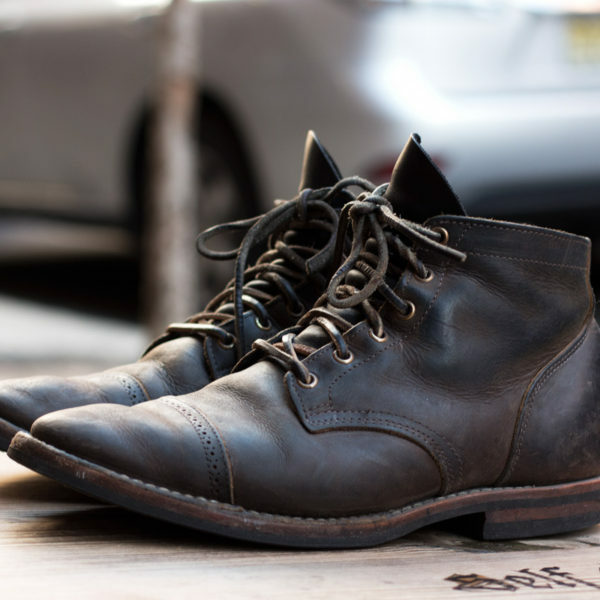 Andrew Chen of 3sixteen, for example, wore these Viberg service boots for eighteen months before using any conditioners or cleaners. Let your boots get beat up, and admire how they age. 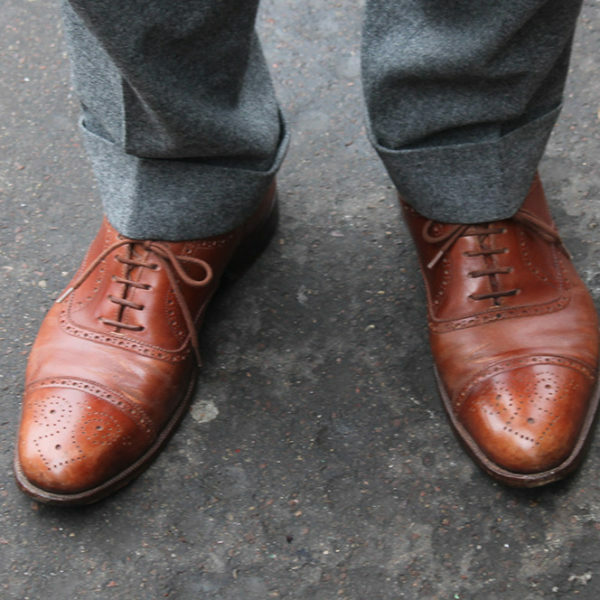 For shoes you might wear with tailored clothing, use conditioner and polish regularly. Conditioner will help deepen the color of leather, and give the surface a nice glow, while polish will build multiple layers of color. I use both cream and wax polishes on mine, with the wax polish being applied last, since it really helps raise a shine. Most importantly: don’t be afraid to use darker polishes. 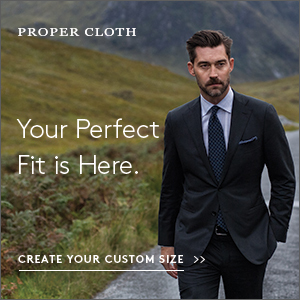 Some people use black polish on brown shoes, but I find this gives a slightly unappealing grainy appearance. Instead, I just go one shade darker than my shoes’ regular color. 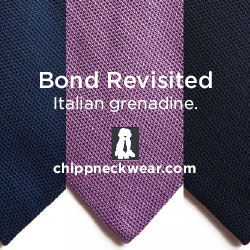 Remember, you want those multiple layers of color to look natural, but you also don’t want to match your uppers too closely. 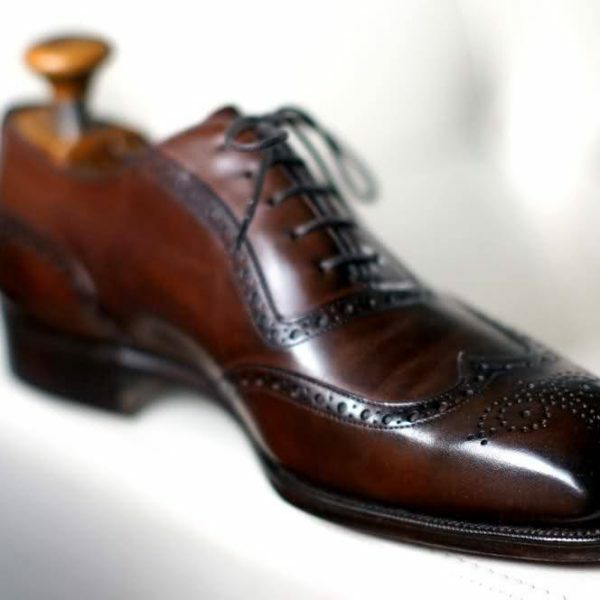 For loafers or similarly casual shoes, do the same thing as you would for dress shoes, but leave the wax polish off. 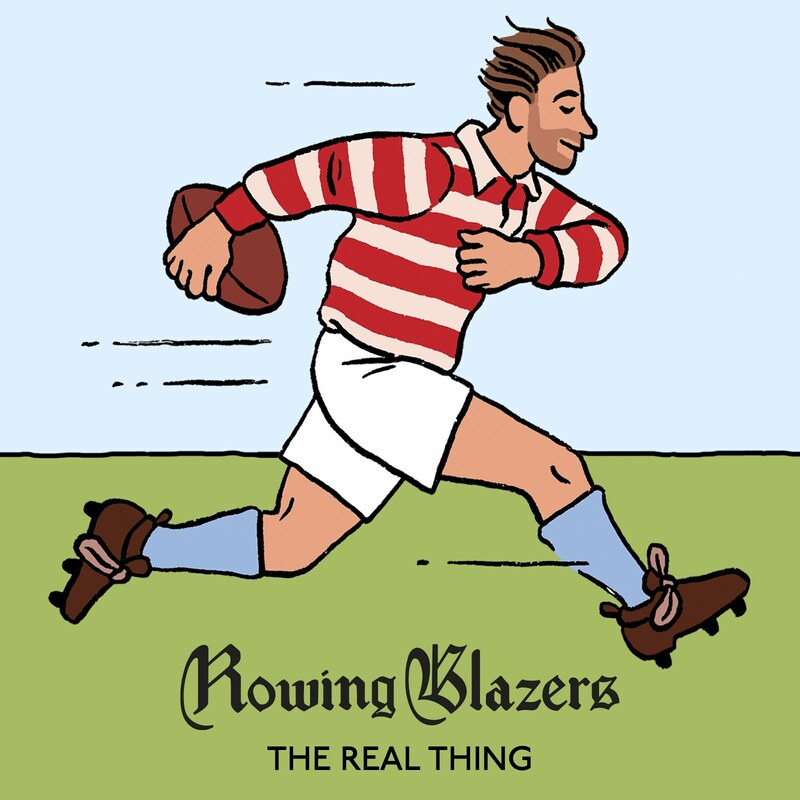 I think of loafers as being in-between workboots and dress shoes – you want them to look a little dressy, so it’s nice if they have a bit of a glow, but you don’t want them as shiny as real dress shoes. So stick to leather conditioner and cream polish to give that gentle shine, and leave the wax off. The conditioner again here will deepen the color of leather, while the cream polish will build multiple layers of color (not overnight, but perhaps over two years’ time). 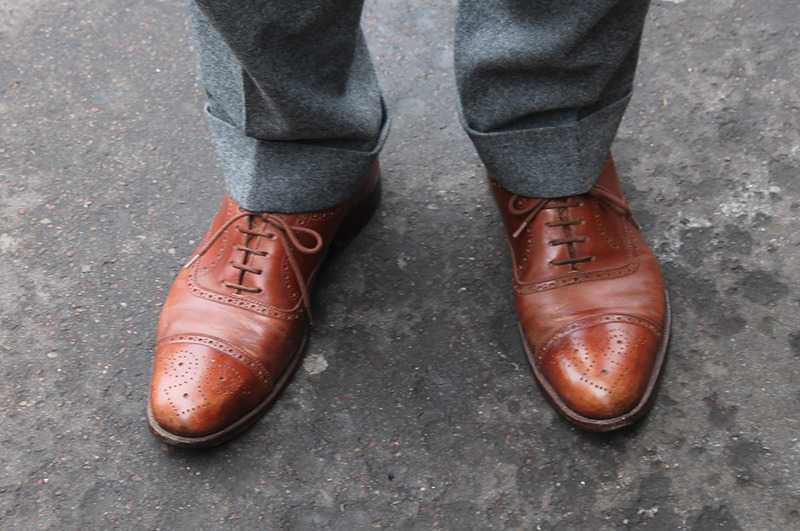 Most of all, wear your shoes regularly and don’t get too hung up on wrinkles and superficial scuffs. You don’t want to purposefully destroy your shoes – but just as raw denim looks good with honest wear, so does quality leather.